Join Anna Liotta, CSP and incoming NSA National President as we celebrate each other! Anna Liotta, MA, CDP is an award-winning keynote speaker and best-selling author with a deep understanding from 20 years of research on how generational demographics and dynamics affect every aspect of business success. Early in her career, Anna identified a common theme: a fundamental lack of understanding between different generations with an organization hinders trust, alignment and bottom-line outcomes. This led to her life's work of helping people develop practical strategies for optimal communications across generations. Anna's most impressive generational credential however is that Anna is the youngest girl of nineteen children. That means that every Thanksgiving, graduation, or wedding is a fascinating case study in multi-generational communication. The founder of The Generational Institute™ and author of Unlocking Generational CODES ©, Anna's clients range from the PGA of America to the NBA, from Amazon.com to the Women's Foodservice Forum. Anna holds a Master's degree in Interpersonal Communication. 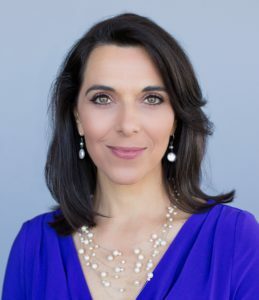 She currently serves as the Vice-President of the National Speaker Association, and President of the Columbia Tower Club and Top 40 Under 40 Alumni Association. When she is not keynoting or volunteering, you'll find her at an off-leas dog park with her Labradoodle puppy named Golfing.